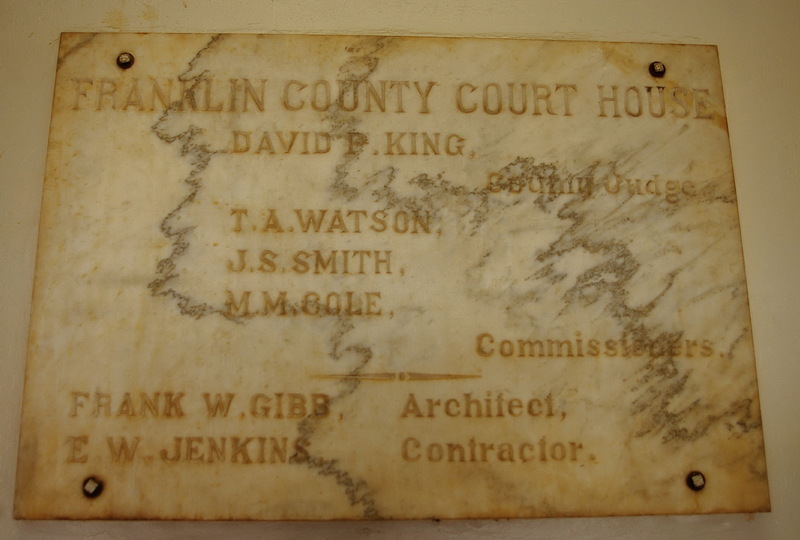 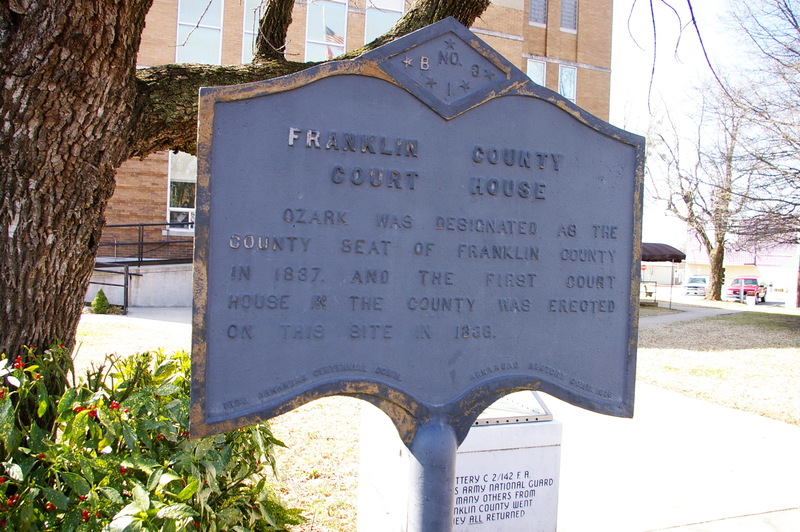 Franklin County is named for Benjamin Frannklin , who was a signer of the Declaration of Independence and who lived from 1706 to 1790. 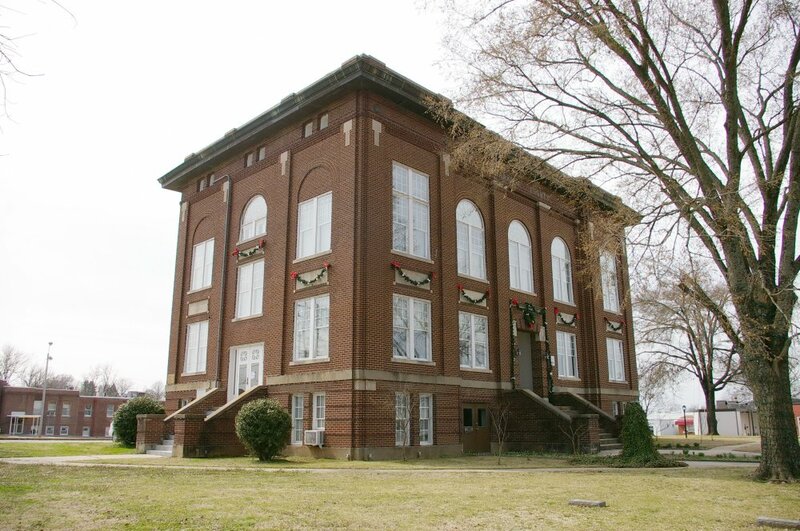 Description: The building faces north and is a two story dark red colored brick and concrete structure. 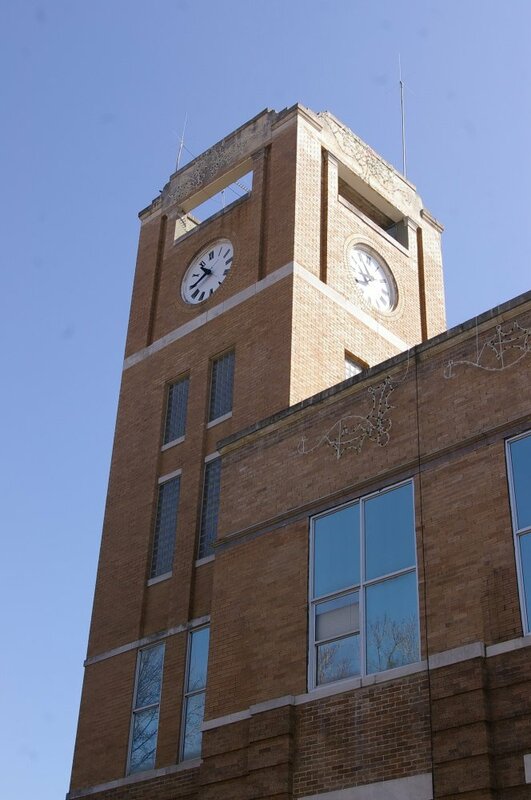 On the northwest corner is a high square brick tower with clock at the top. 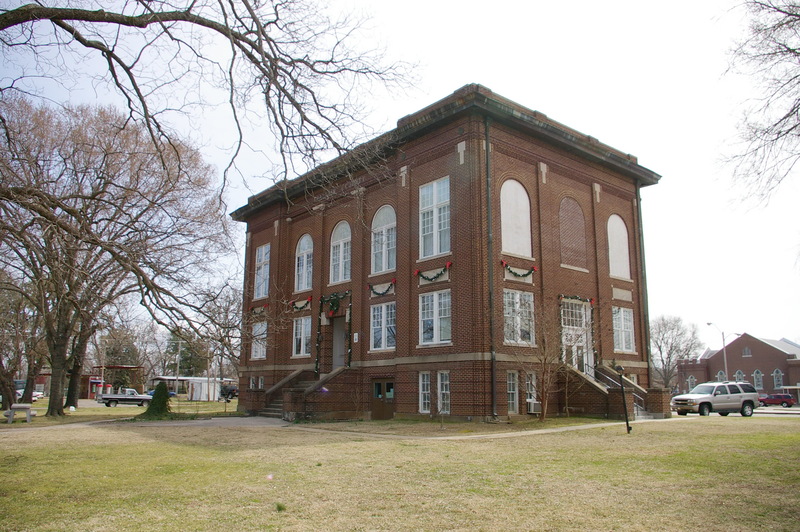 The north front projects from the main building and has a stone framed entrance on the first story and a wide header above the second story. On the northeast corner is a lower square brick tower. The roof line is flat. 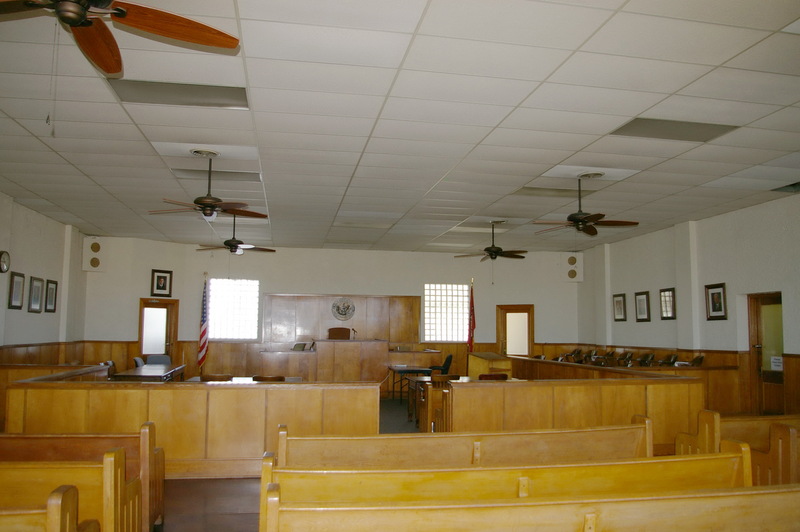 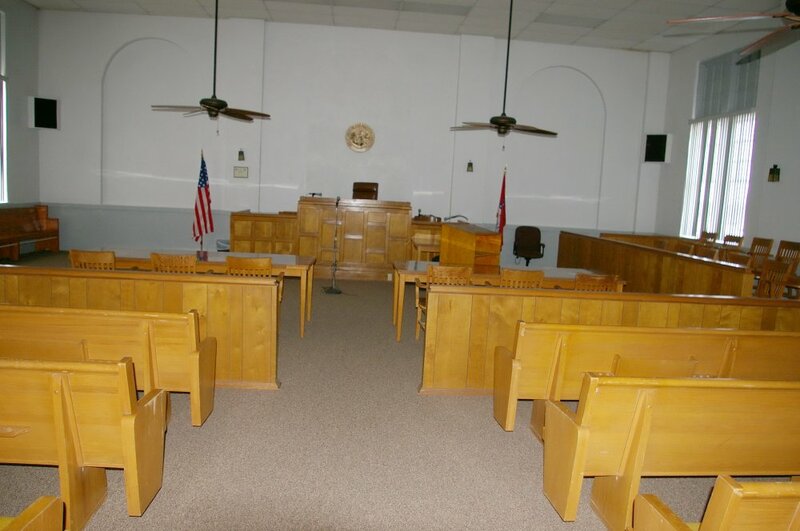 The building was remodeled in 1945. 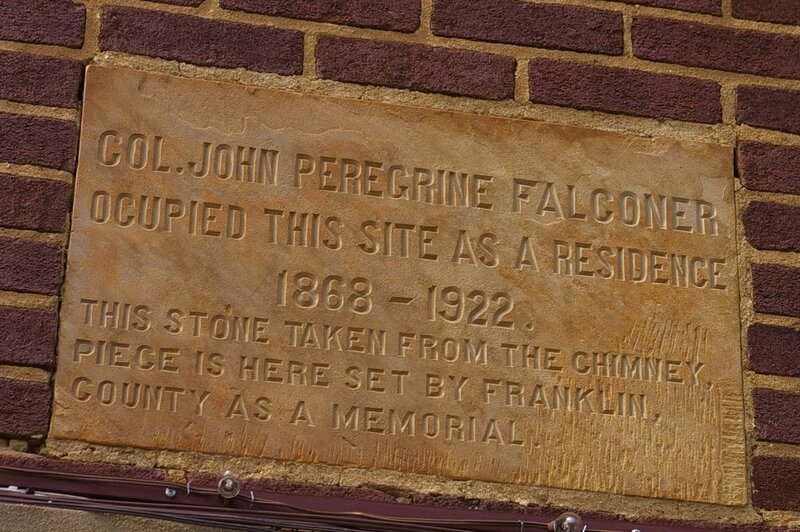 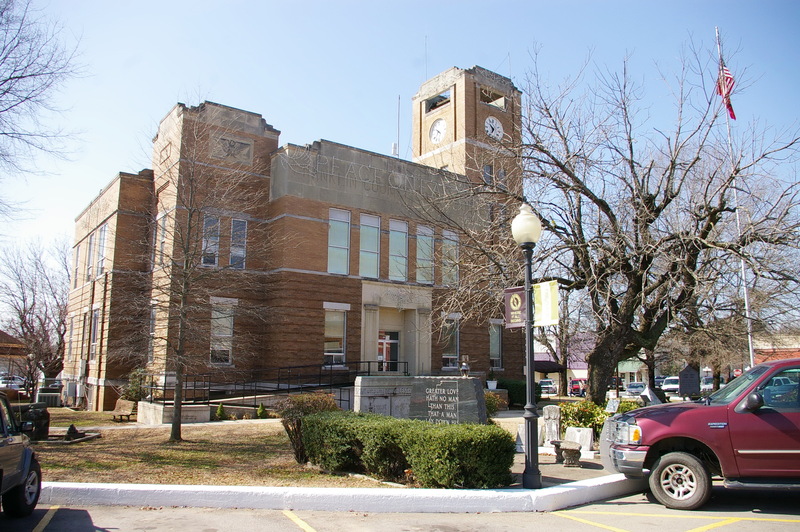 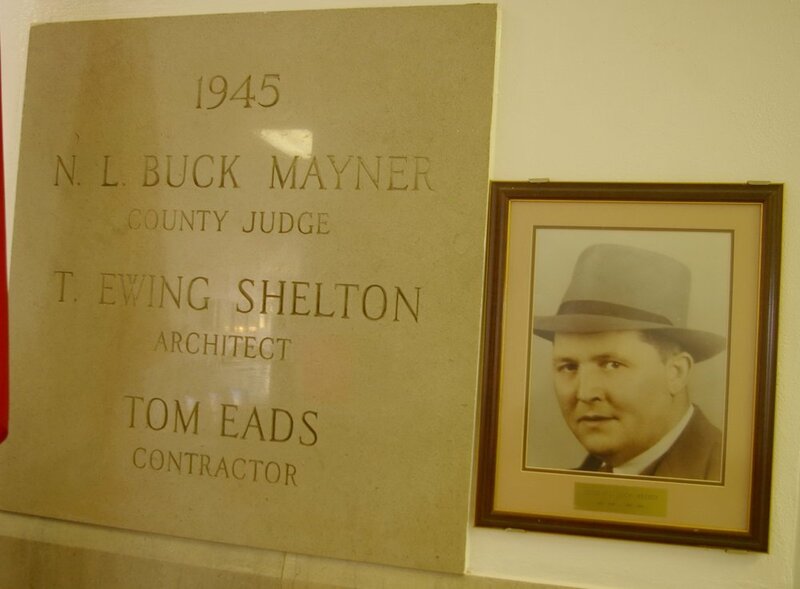 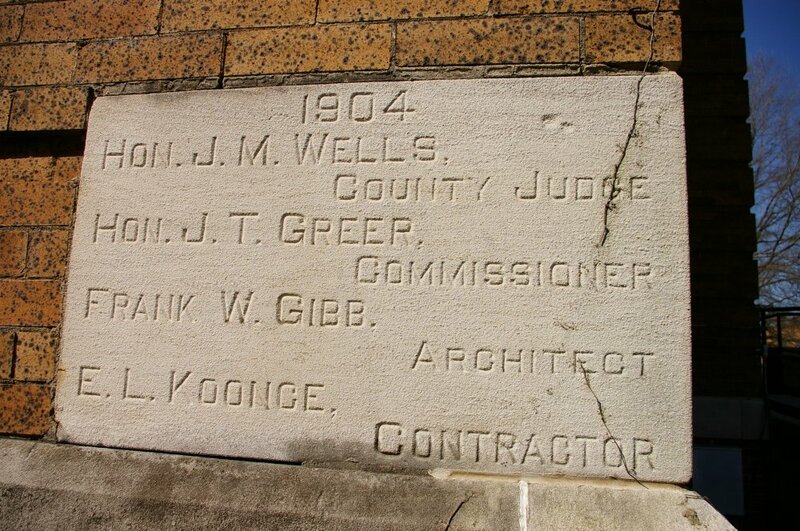 The architect was T Ewing Shelton and the contractor was Tom Eads. 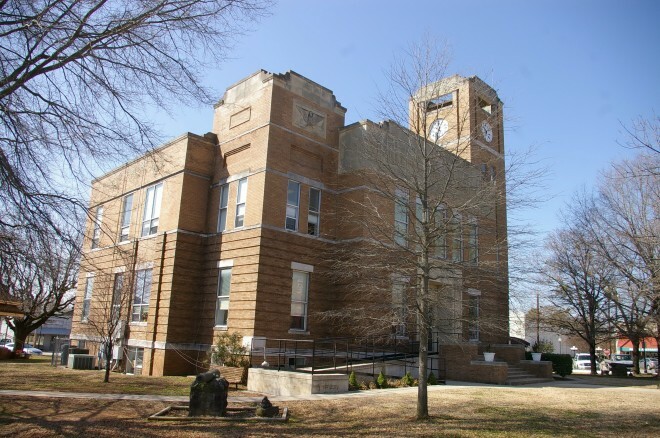 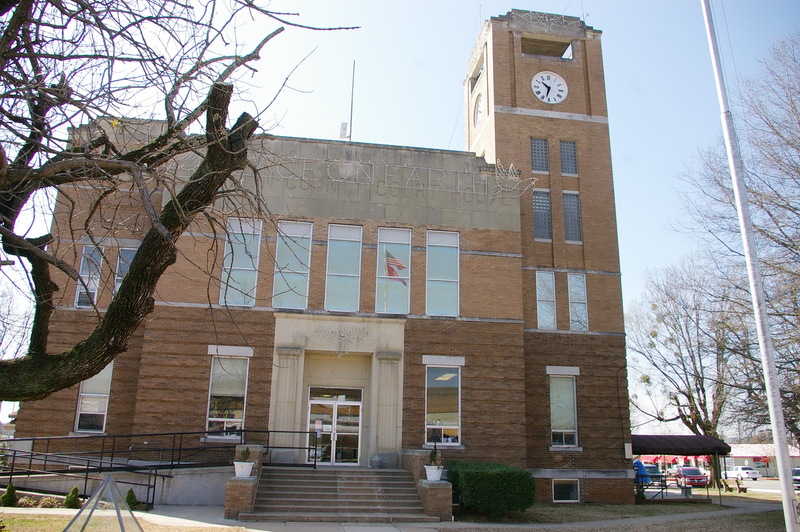 Description: The building faces north and is a two story brown colored brick and concrete structure. The building is located on landscaped grounds. 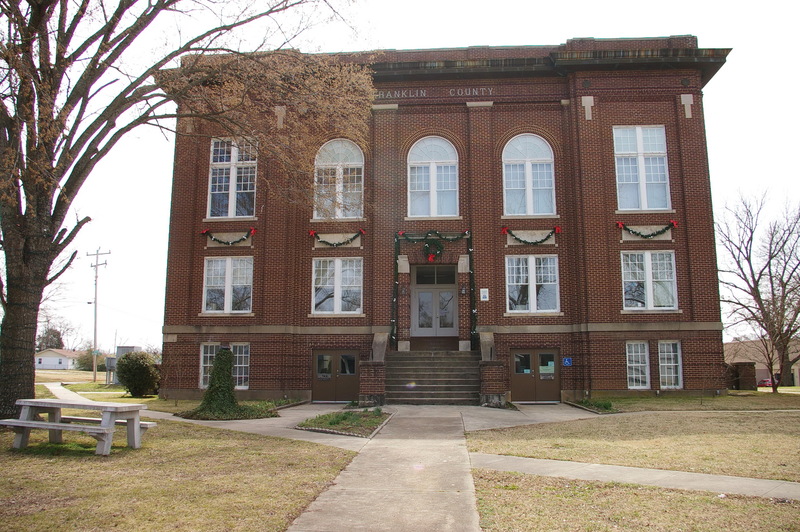 The north front has a central recessed entrance on the first story. 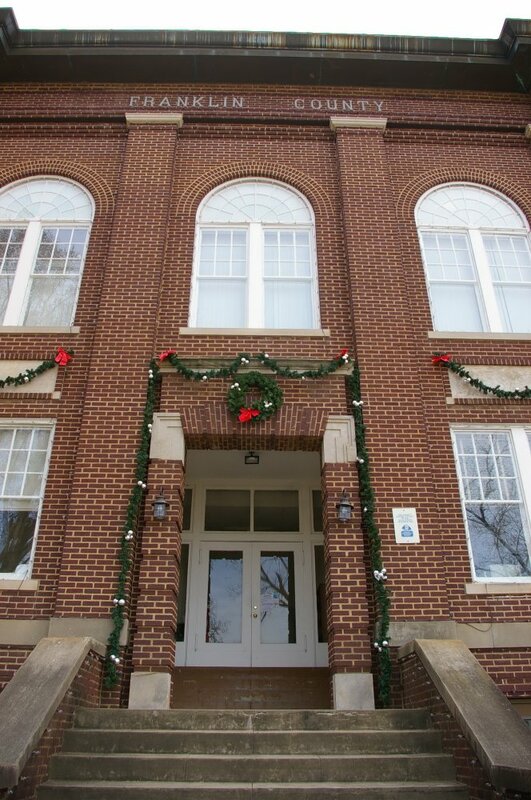 The second story windows are arched. 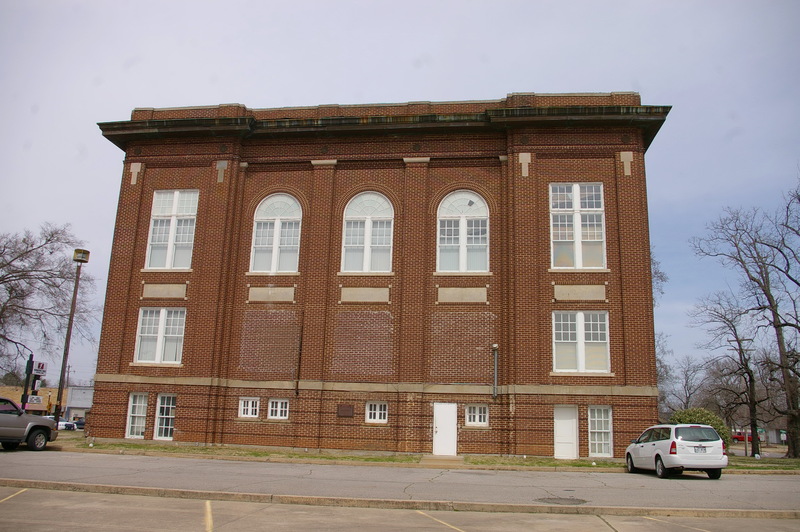 Vertical pilasters run along the sides of the building. The roof line is flat.